It was a fantastic day to be out orienteering. Warmest day in a while, but with a steady S-Westerly blowing it was cool enough to run. I pre-entered course 1 for some reason, but still felt happy to do that at the registration, so off i trotted. The first few controls were fine, but i nearly missed #5 as i was happily running along the road not really giving much attention to the map. Luckily i spotted 5 where i glanced at the map from the road, looked over my shoulder and the control was just there. The navigation today was a pretty easy only made harder by the Tintookies strategy of putting controls on the incorrect features. It was good to see Simon scratching his head at 11 as he ran straigh past the flag to the correct feature, while Andre (TT President) and I literally flowed through the control before Simon knew what was going on. 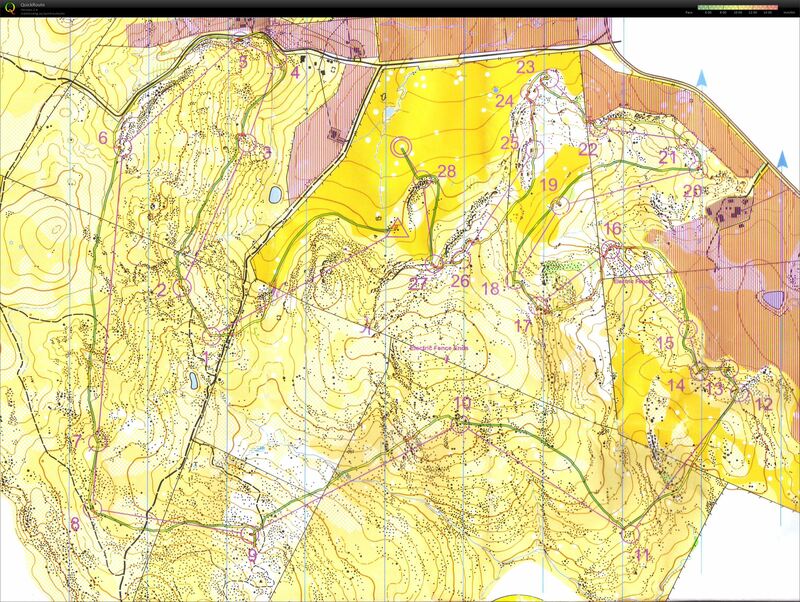 For some reason the course setter decided to convert the course from a long distance race to a sprint/middle with many controls at the last half of the course. I felt like i had the energy to complete it, but not the speed, though i managed to pip Greg by about 3 minutes! It was generally a pretty fun race.